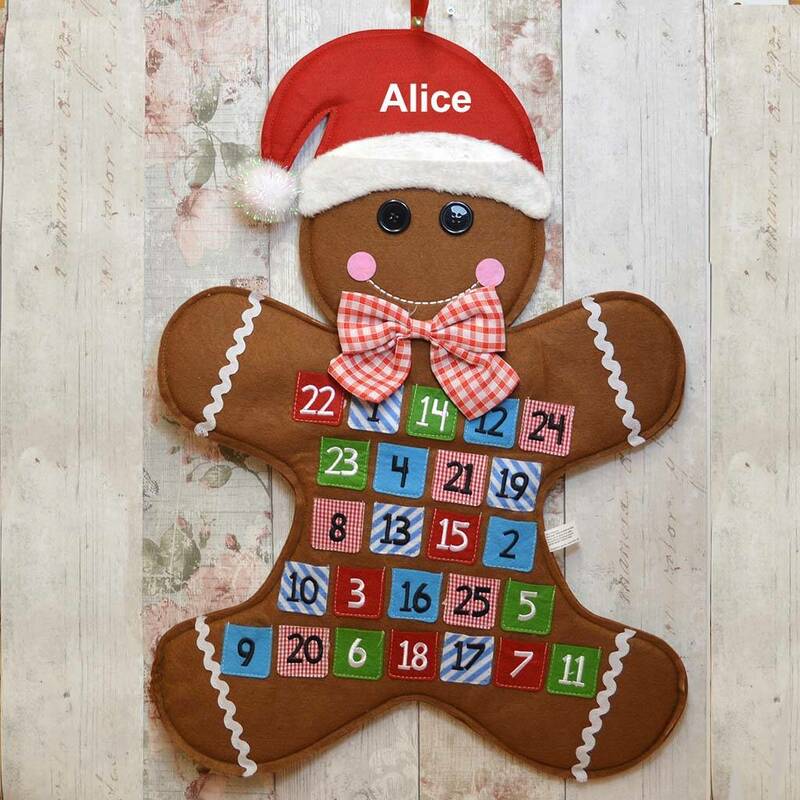 A wonderful personalised fabric Gingerbread Man advent calendar. A great way to count down the days to Christmas with this wonderfully festive advent calendar. This hanging advent calender design with 25 pockets for each day of advent and a candy cane to be moved to indicate how many days until Christmas. 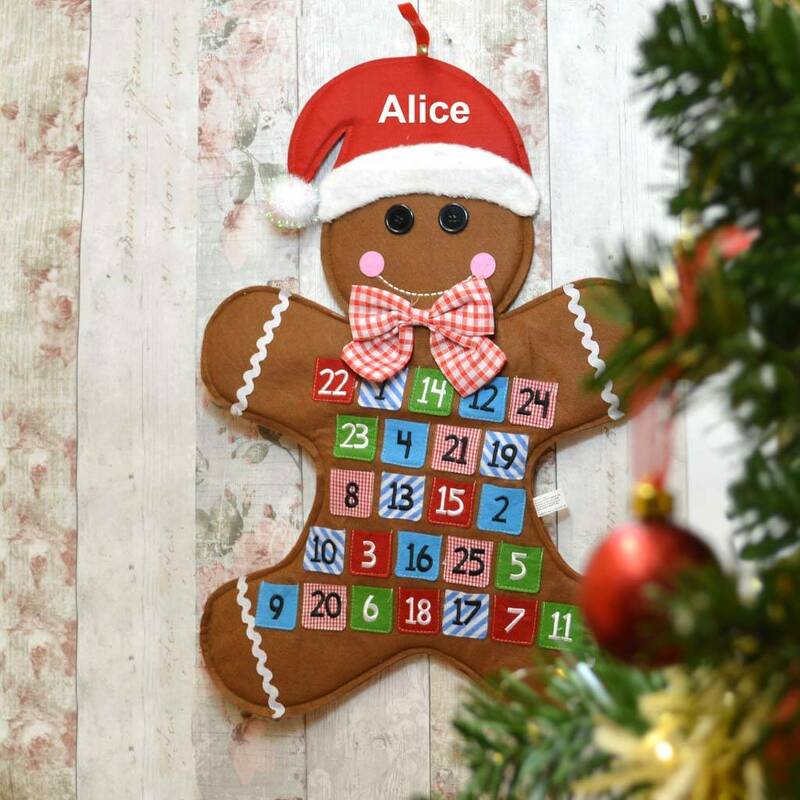 A wonderful alternative to the standard chocolate advent calendar - it will also make a wonderful addition to a Christmas themed home decor. A nice alternative way to countdown to Christmas for both kids and adults. Add a name of up to 10 characters to be printed on the hat. We personalise all our Christmas gifts in house so if you have any questions or special requests please get in touch and we will be happy to help. Why not also purchase a greetings card for a little extra to advise the gift recipient who the personalised paperweight gift is from? If you wish to choose this option, a bespoke, full colour, standard A5 sized card, folded in half and printed with your message on one of the inner sides can be chosen in the personalisation fields. The unisex greetings card will be sent in a white envelope with your gift.